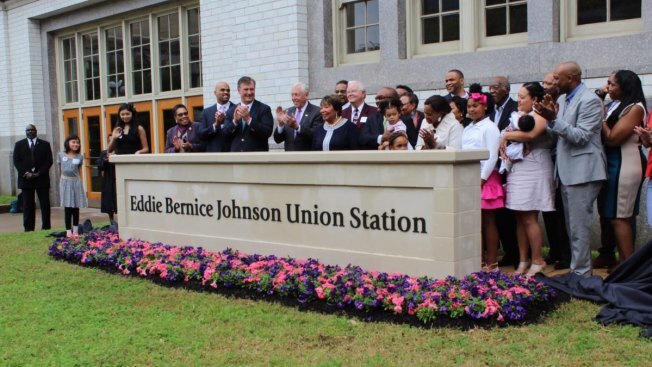 Union Station in Dallas is renamed for longtime Congresswoman, U.S. Rep. Eddie Bernice Johnson (D-TX), center. Dallas Area Rapid Transit is renaming three of its stations, including one in Dallas and two others in Fort Worth. The DART board approved of a plan to rename Union Station in downtown Dallas to EBJ Union Station. The EBJ is for U.S. Rep. Eddie Bernice Johnson, a longtime major proponent of DART and public transportation. EBJ Union Station was built in 1916, when segregation was prevalent. During a dedication held over the weekend, Johnson said the station now fits her and "that it's open to all, regardless of religion, regardless of the origin of birth, regardless of party, regardless of gender. That's what I love." The city of Dallas first voted to rename the station after Johnson in 2016. "Congresswoman Eddie Bernice Johnson is a dedicated public servant, a woman who has given so much to Dallas, to Texas, and to our country. She has worked across the aisle for the betterment of her constituents on aviation, flood control, homelessness, homeland security, law enforcement, science, and, of course, transportation," Mayor Mike Rawlings. 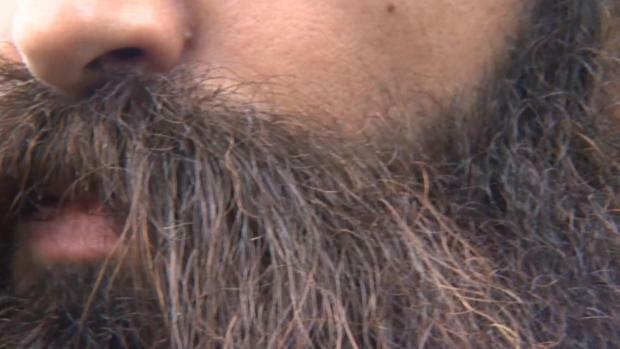 "I couldn't think of a more fitting person to rename our Union Station after." EBK Union Station is served by DART, Amtrak and the Trinity Railway Express. In Fort Worth, the board approved of renaming the downtown station, known as the Intermodal Transportation Center, or ITC, to the Fort Worth Central Station. The Texas & Pacific Station, or T&P Station, will have a less dramatic change and will now be known as Fort Worth T&P Station.